Balloonsnmore ships its products to almost all parts of India. Orders placed will be shipped within 24* hrs. We ship on all days except Sunday and National Holidays. Shipping Charges: A fixed shipping charge of Rs. 50 is applicable on all orders below Rs. 499/- (Excluding COD charges, Shipping charges, Taxes or value reduced after application of coupons or any other offer) at all locations with an additional charge applicable at certain locations. For orders equal to or above Rs. 499 (Excluding COD charges, Shipping charges, Taxes or value reduced after application of coupons or any other offer) free shipping is available at certain locations only. For other locations, additional shipping charges will be applicable. At these locations, in which additional charges are applicable, the Rs. 50 shipping charge will be added to the shipping charges for all orders below Rs. 499 (with exclusions as above). The shipping charge applicable per quantity of the product can be checked by entering your pin code details on the product pages and the total shipping charge applicable on the order will be the sum of the charges for all chargeable product(s) in your order (+ Rs. 50 for orders below Rs. 499). The order level charge will be visible to you in the cart as well as when you enter the shipping address while you are checking out with your order. The shipping charges can be modified by Balloonsnmore at any point without prior intimation. The new charges would reflect on the product page as well as in the checkout flow. 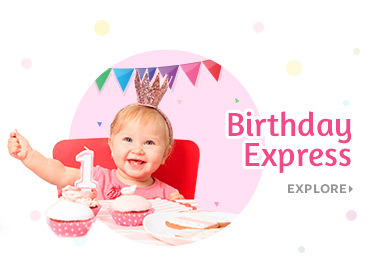 Every once in a while, Balloonsnmore brings out various offers in an attempt to satisfy customers. 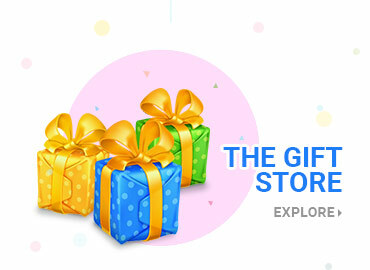 Various offers could be introduced for a limited span of time that enable free shipping of goods, subject to the fulfilment of the terms and conditions attached to the offer. Estimated Delivery Time: For all areas serviced by reputed couriers, the delivery time would be within 3 to 4 business days of shipping (business days exclude Sundays and other holidays). However items weighing over 2 kilos or high volume may take a couple of days longer to reach. For other areas the products will be shipped through Indian Postal Service and may take 1-2 weeks depending on location. There might be unexpected delays in the delivery of your order due to logistic challenges beyond our control. Balloonsnmore reserves the right to cancel your order at its sole discretion in cases where it takes longer than usual delivery time or the shipment is physically untraceable and refund the amount paid for cancelled product(s) in your Balloonsnmore wallet. * Valid only for owned stock. Shipping time may increase for third party shipments.